I thought for this first post that I would talk a little about my Summer International Health Fellowship, or SIHF, with FIMRC over the summer. This was not a Clemson sponsored trip, but SIHF trips like the one that I went on are available to anyone who is interested. First of all, I was fortunate enough to go to Peru for a little over a month this summer, and I participated in the Huancayo/ La Merced Mission. I’ll spare you all the nitty gritty of the entire trip and instead focus on a story that I think is pretty representative of my experience overall. One of the main areas that my group focused on was the dental health of some schools in the surrounding area. 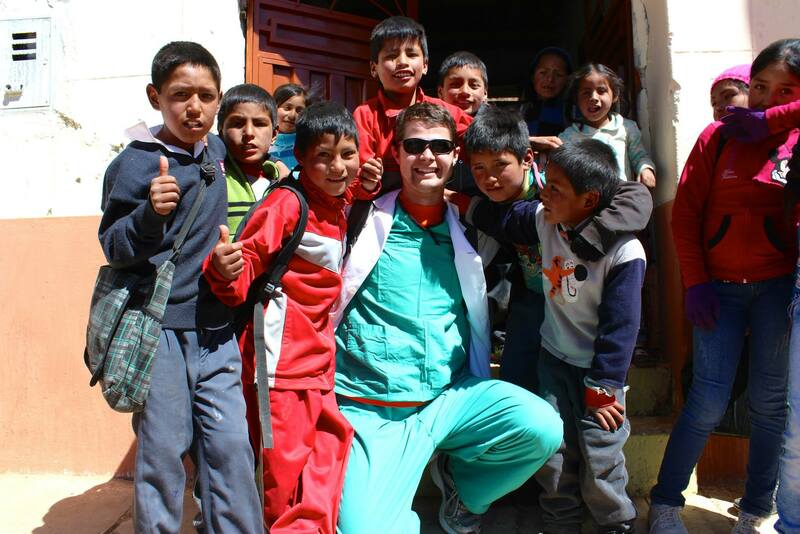 Although I really don’t want to be a dentist, this was an amazing opportunity and one of my favorite aspects of the trip, if not my favorite. This particular story takes place in a little school in a tiny village called Iscos. It only had three classrooms for the 90 kids that went there, and only three teachers – one of whom also worked fulltime as the principal of the school. On this particular day, the group was trying to lead talks on dental health, and then we were going to administer fluoride treatments. And when I say we were leading talks, I mean the teachers turned over their classrooms to us and gave us full reign. Now, let me go ahead and say, I have taken Spanish classes, and I thought I was okay at Spanish but no amount of class could have prepared me for this. I walked in and was immediately swarmed by 11 year olds. In that moment, I was so overwhelmed that I completely forgot everything I ever knew, and I just remember thinking, “Come on say something! You gotta say something.” I started by just saying “Hola!” and introducing myself. It sounded so stupid coming out, but immediately after that I was able to calm down and help lead the talk. We discussed general teeth brushing, food and drinks that are bad for teeth, cavities, and then we got to quiz the students at the end and give prizes to the ones who got questions right. The fluoride treatments went about as well as expected. Most of the kids didn’t want to do it, but trying to convince the students that they need fluoride treatments in a language I’m not that comfortable with and vocab that I didn’t know turned out to be a great experience. I had to learn quickly how to deal with children in large groups. It was also a great way to practice Spanish because I had to communicate quickly and effectively while still being entertaining, or I would lose the class’s attention. It was so much fun working with these kids, and they were all so happy to see us. I really cannot overemphasize how much I enjoyed this and how much it has meant to me. As I’ve already mentioned, I really do not want to be a dentist, but working with these kids really let me see the public health side of medicine which I was surprised to find out how much I enjoyed. It’s cheesy and clichéd, but here it goes: I may have helped make a difference in those kids’ lives, but they have definitely made a difference in mine. FIMRC has so many opportunities to offer, and I really am so grateful to have had such a good experience.